It’s a bit hard to decide. Summer or winter? City, country, or mountain? French side, German side, or Italian side? Geneva, Zurich, Bern, Lucerne, Lausanne, St. Moritz, Interlaken, or Z for Zermatt (and its famous Matterhorn mountain). Here’s the answer. Pick two. Any two. Split programs add extra logistics for the incentive planners, but attendees enjoy sampling more of the country. As a bonus, the famously clean and precise Swiss trains can be chartered to upgrade the transfer between cities to an excursion activity. I recently returned from an Incentive Research Foundation (IRF) board meeting making several stops in Switzerland – Lausanne, Gruyeres, Interlaken – an extension to Lake Lucerne – and flights to/from Zurich and Geneva. Here’s a field report. Interlaken means “between lakes” and is pronounced enter-locken (by Americans who have not mastered the sharp German accent of een-ter-lock-en). The tourist town sits between the lakes Brienz and Thun, with the Swiss Alps surrounding on every side. Interlaken feels like the middle of the country in many ways. Geographically: the city sits in the center among major cities and the rail system too. Language: to its east is the German-speaking side; to its west is the French-speaking side. The architecture and menus switch too from German to the right and French to the left. I like Interlaken as a home base for incentive trips and excursions nearby. It pairs nicely with any other destination. 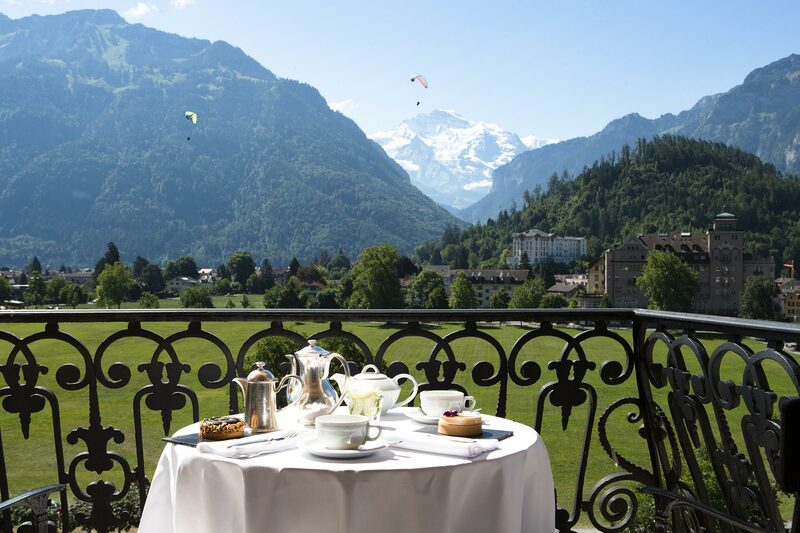 Victoria-Jungfrau Grand Hotel & Spa is the go-to incentive-quality hotel in Interlaken. The 5-star hotel has an interesting 150-year history. The name conveys significance when so many hotels are switching their names to “Brand City Hotel.” One hundred years ago, two competing hotels were separated by a small street until they merged, and a large domed lobby joined them. The Victoria-Jungfrau offers 5-star hotel amenities for high-tier incentive travel. Today, Victoria-Jungfrau is part of The Leading Hotels of the World (LHW), which by the way is a collection of independent, authentic, uncommon luxury hotels that reflect their local destination and which I am increasingly drawn to personally and for our clients. Best of all, the resort is in a 3-year renovation effort to upgrade their sleeping rooms dramatically. I love the mix of modern rooms and amenities within a grand, historic structure. Comfort and character. Marvelous combination. What to do? Interlaken offers a wide selection of summer and winter activities. Incentive CMPs (certified meeting professionals) will find it easy to assemble 5-7 options for attendees. I sampled these excursions during my winter visit. Mount Schilthorn – In all honesty, they hype up the James Bond World exhibit which transports visitors back to the onsite filming of the 1969 “On Her Majesty’s Secret Service,” but it feels a bit dated. The real attraction is the mountain itself with views of other famous peaks; adding an authentic Swiss experience with yodeler, music, cheesemaking, and a St. Bernard dog; and a visit to the quaint walking village of Murren for a nice lunch and stroll. Paragliding – Somehow, I’d never checked this off my list. With age, I grow a little more chicken, but how could I resist the challenge of my IRF colleagues? The locals say this slice of the Alps is one of the premier tandem paragliding opportunities in all of Europe. You feel like an eagle floating peacefully (except for the guy behind you snapping selfies). The views of the two lakes, the mountains, and the town were marvelous. Takeoff and landing were easy too! Chocolate Class – Learning the hands-on techniques and tricks of tempering chocolate – and melting, pouring, and filling molds – and decorating my masterpiece was, uh, tasty! Funky Chocolate Club provides everything – hats, aprons, ingredients, and enthusiastic hosts. I highly recommend this fun foodie activity in groups of 12, which they can do at least 4 times daily. Other top excursions include Jungfraujoch (the Top of Europe up in the thin air 3,454 meters above sea level), Schynige Platte (where you ride the nostalgic cog railway to another peak and summertime botanic garden), or day trips to Gruyeres, Bern, or Lucerne. Summer activities include jetboats, cycling, paragliding, canyoning, and hiking. Gruyeres is more than cheese! The medieval town is so wonderful it even has its own cheese. I’m still trying to discover why the town is plural and the cheese singular! The common Swiss joke is “our cheese and chocolate are delicious because our cows are happy.” Like the cows, incentive travelers will be quite happy visiting this quaint village and scenic countryside. Gruyeres is a delightful day trip from Interlaken, or it breaks up the bus transfer to Lausanne for split incentive trips. We enjoyed an authentic Swiss fondue lunch and walking off our over-indulgence of cheese and bread to historical landmarks and local shops. This lovely city sits on Lake Geneva on the French-side of Switzerland. My colleague Genny is from Lausanne, so her ravings set my expectation high. It delivered a gold medal performance like the nearby Olympic Museum and lakeshore Olympic Park. For a sports fan, it is record-setting cool. Other Lausanne activities include (Charley) Chaplin’s World, a multimedia museum dedicated to the actor/director, a visit to the Domaine du Daley for wine-tasting and tour, boat rides on Lake Geneva, museums, and walking tours. Beau-Rivage Palace is the #1 choice for incentive travel groups and winner of multiple “best of” awards. It’s another grand, iconic, beautiful hotel in the LHW collection. I’m not the best on design, so I had to research the exact description, which is Art Nouveau and Neo-Baroque style – which in simple terms means it looks like an elegant, historic hotel was airlifted from Paris and placed on the shore of picturesque Lake Geneva. So many compliments could be said. Impeccable rooms, beautiful lake views, personable service, delicious cuisine. The small, special touch of fresh flowers in every room perhaps demonstrates best the 5-star elegance. A downside of split-destination incentive trips is the bus or plane transfer to switch locations. A unique attraction to Swiss splits is the iconic, clean, and precise Swiss railway. Chartering several train cars converts a drab bus trip into a scenic excursion through the green countryside (or white winter mountains). I love this idea, and attendees enjoy viewing more of the country! Now, switch directions from the French side on the west and head east to the German side. Lucerne offers dual options – its compact city with preserved medieval architecture or the pastoral Lake Lucerne. Activities for incentive travel groups include the nearby Rigi and Pilatus mountains with winter skiing and summer hiking, afternoon boat rides across the lake while enjoying grand mountain views, walking and shopping tours, the Museggmauer medieval watchtowers, and a new waterfront center for the performing arts. Bürgenstock Resort Luzern, featured on Brightspot’s list of Top New Incentive Hotels for 2019, is an incentive retreat on its own. Opening in late 2017 after a nine-year construction project costing $560 million, the internationally renowned resort stands above the rest. Towering 500 meters above Lake Lucerne, the resort features a wide range of leisure activities, hiking, golf, five-star accommodations, and a breathtaking view of the lake and surrounding mountains. The spa, pool, and outdoor infinity-edge jacuzzi have jaw-dropping views. It must be the most Instagrammed picture in Switzerland. In fact, the hotel staff told me they are limiting the hours when guests can take pictures so other guests can enjoy the views free of selfie-paparazzi. In addition to the west to east options, incentive trips can head north to Bern or south toward the Italian-side sites of St. Moritz and Zermatt. 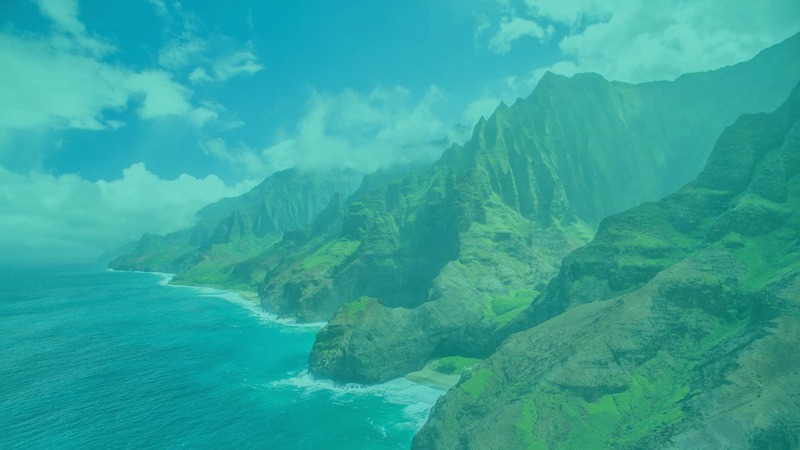 Here are more incentive travel ideas. Bern is the capital of Switzerland, but it is still a modest size city with good incentive options. It has a long history dating back the 12th century and preserved medieval architecture in its Old Town. The Swiss Parliament and diplomats meet in the Neo-Renaissance Bundeshaus (Federal Palace). Activities include the Gothic Cathedral of Bern with stained glass windows from the 15th century and good views of Old Town, over a dozen scenic bridges across the Aare River, the Einstein Museum and Bern Historical Museum dedicated to the famous physicist and former resident, and many excellent dining options. St. Moritz is a luxury alpine resort town on the southern, Italian side. It has hosted the Winter Olympics twice. I bumped into two fellow Texans at the Burgenstock who had just returned from skiing St. Moritz, and they raved about the ski runs, snow, beauty, and all-around cache. Summer activities include hiking, mountain biking, sailing, and windsurfing on Lake St. Moritz. The village area of St. Moritz Dorf is walkable with high-end fashion stores, jewelry boutiques, and upscale restaurants. This A-to-Z incentive review of Switzerland logically concludes in Zermatt, in another part of the Swiss Alps on the southern side. As expected, the mountain resort is known for its skiing, climbing, and hiking, but its most famous landmark is the pyramid-shaped Matterhorn peak. It is the one spot that I wished for one more day to be able to see firsthand. Next trip (perhaps with your incentive group?)! One of the beauties of travel, either leisure or incentive groups, is unexpected memories. Part of our family’s life story is that my wife Karen was diagnosed with cancer in January 2006. Now, back to Interlaken. I wanted to buy flowers to celebrate her 13th cancer-free anniversary, which was that very day. Karen is frugal, so she insisted our pocketful of Swiss francs not be spent on flowers for a short, 3-night stay. Nonetheless, we saw a cute flower shop and popped in to merely look around. We complimented the florist on her lovely arrangements, asked about flowers we don’t see back in Dallas, and visited very briefly. Unknowing of our special anniversary, the florist reached down, wrapped this bouquet, and handed it to Karen as a gift. Her sweet gesture touched us deeply and characterizes the kindness of the Swiss people. If you live in Interlaken, I highly recommend B. Ryffel Florist!! A big, big thank you to the following hotels and travel partners for hosting IRF, events, transfers, and activities and joining us for many meals. I robustly recommend all of these outstanding incentive travel hotels and professionals. We are happy to provide you with our travel recommendations for your next incentive trip; no strings attached! Head over to our incentive travel page for more bright ideas or just drop us a line!